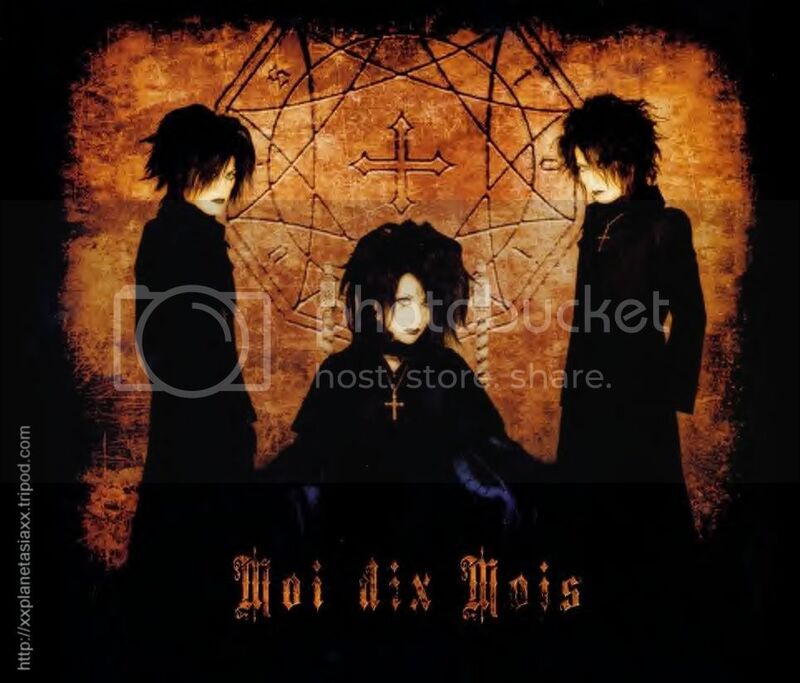 Moi dix Mois was formed on October 19, 2002 as the solo project of the Japanese artist Mana. 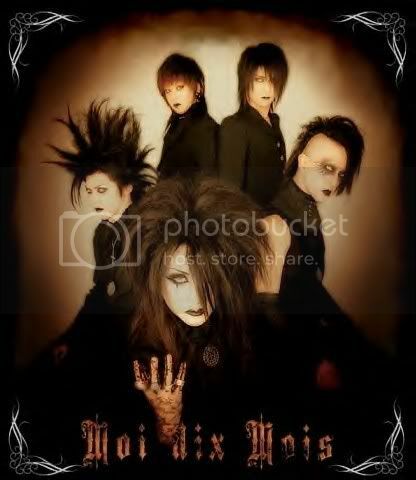 Moi dix Mois was created approximately ten months after the breakup of the influential band MALICE MIZER, which Mana was the leader and guitarist of. 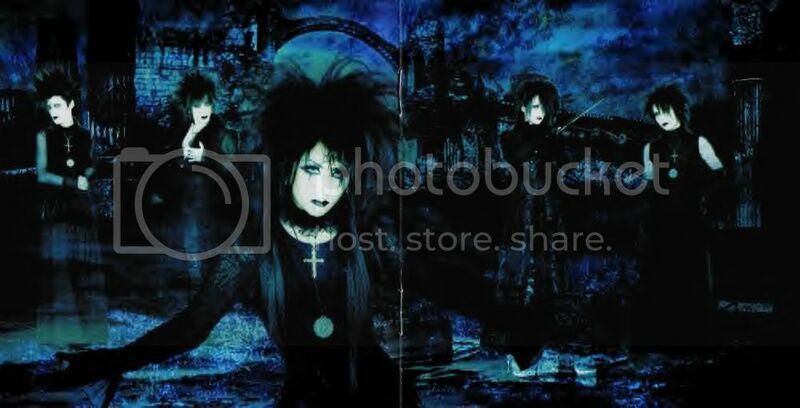 The members of Moi dix Mois were originally Mana (guitar), Juka (vocals), Kazuno (bass), Tohru (drums), and K (Death Vocals & supporting guitar). 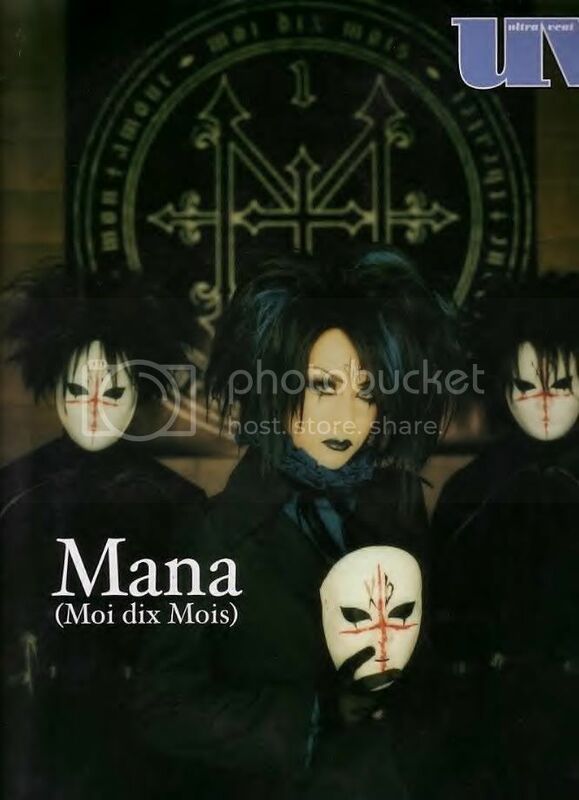 Mana is not only the lead guitarist of Moi dix Mois. He also serves as the composer, lyricist, costume designer, and the overall artistic director for all of Moi dix Mois's songs and performances. 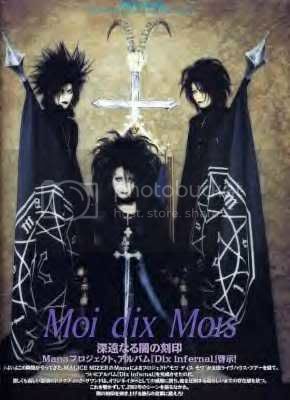 The band name, Moi dix Mois, means "My ten months" in French. It holds very symbolic meaning to Mana. "Moi" stands for his debut as a solo artist. "Dix Mois" means "10 months," which has a double entendre. Ten lunar months is the average time a baby forms inside its mother's womb before being born. It can also be interpreted as the ten months between the breakup of MALICE MIZER and the "birth" of Moi dix Mois. Moi dix Mois played their first concerts outside Japan in March 2005 in Munich, Germany and Paris, France as part of their "Invite to Immorality Tour." Juka, however, left Moi dix Mois on April 24th, 2005, right after the "Shibuya-AX" live. Soon afterwards, Moi dix Mois' bassist Kazuno and drummer Tohru also left the band. On March 1st 2006, they released their album "Beyond the Gate," which featured their new vocalist, Seth. Backup members for their new live performances are going to be Hayato (drums) and Sugiya (bass).